I started working at Glaston in 2003. Before that, I had recently graduated as a production engineer with 10 years of experience from my previous job doing maintenance work inside a big bakery factory in Brazil with a production capacity of around 200,000 bread buns per day. I went to a university night school and worked the day shift – a normal way in Brazil to be able to graduate without having one’s parents pay for the education. When I started at Glaston, I had the role of production supervisor until 2005. Then, I started to install tempering furnaces in India. 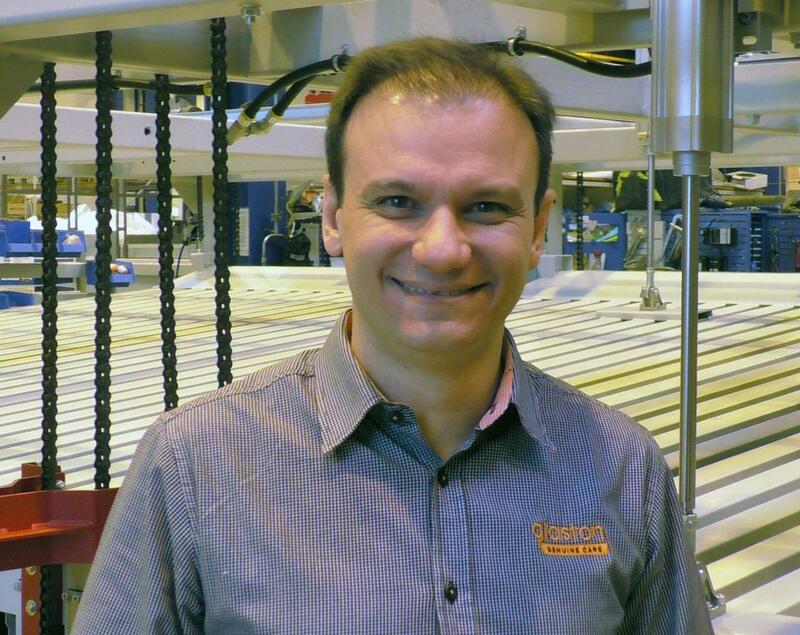 And in 2006, I switched to installing Glaston machinery throughout all of South America. Back then, traveling was exciting for me because it was a great opportunity to meet people from different cultures and be in incredible places outside tourist destinations. After five years of installing Brazilian-made machines, performing maintenance tasks and installing upgrades, I got another opportunity to grow within the company by becoming a service manager. For me, helping customers improve their quality and providing solutions to fix their issues is something that motivates me to keep doing this job. I am a manager now, but I’ve never left the technical work behind. Today, my main task is to share my “passion to help customers” with my team and colleagues so they can offer a good service level. Working for a Finnish company has been a good experience because we have clear rules, good corporate governance, and most importantly, we are treated as individuals and not just like a corporate head count. Even on the toughest days in our legal entity, Glaston has remained a good example of how to treat people with respect. Providing good customer experience is based on listening to a customer’s complaints, problems or special needs and being able to offer the right product, service, machine or upgrade to solve the problem. Sometimes, customers do not know what they need. They may think they know, but most of the times, we as specialists can offer a better solution. It only is a matter of understanding those needs to be able to determine the best offering. When we are transparent and focus first on offering a solution instead of an upgrade or new machine, for example, this enables the customer to build a trustworthy relationship with our company. Sharing details during the entire service lifetime and doing unexpected things creates magical moments for the customers. Sometimes, we have just one opportunity to do that – and therefore, we cannot fail in providing outstanding customer satisfaction. Sharing details during the entire service lifetime and doing unexpected things creates magical moments for the customers.